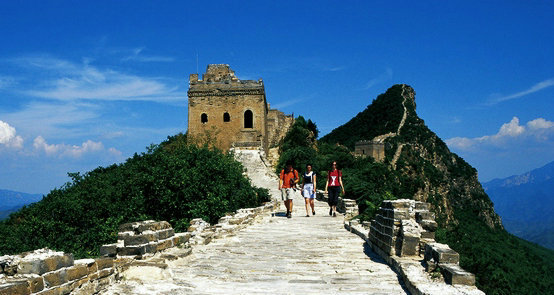 Simatai Great Wall is the most well-known and the most accessible Wild Wall in Beijing. It’s 5.4 km length is lined by sheer rock faces that soar 1,000 meters from the ground. 75% of the quality bricks, huge granite base is original, giving you a more authentic Great Wall experience. Built on a rock mountain, Simatai Great Wall lies on a rooster-crest-like mountain range in Miyun county, 120 km from Beijing. 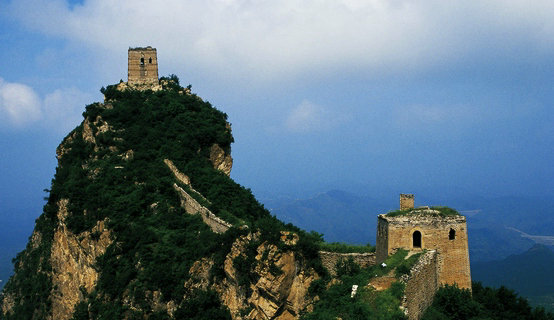 For it’s original features, Simatai is a spectacular sight and one of the most photographed sections of the Great Wall. First built in 6th century and largely reconstructed by the noted General Qi Jiguang, Simatai Great Wall really looks as one would expect it to look some 500 years after it was built. The air at Simatai is clean and fresh. The sky is always crystal clear. The height of the mountain enables you to see far away. Enjoy the silence of this magnificent world heritage on your own. Landscape: You can see so far away because of the height of the mountain. The sky there is always clear without any foggy days. As the “backyard of Beijing “, You will see lots of apricot tree on the mountain with squirrels jump along the brink of the Wall. Surrounding area: Most of the surrounding mountains have steep cliffs and deep valleys, and many orchards in this area. The biggest reservoir in Beijing – Simatai reservoir is in the east and Miyun reservoir in the south. Both reservoirs are the most important drinking water resource. Cheng De Summer resort for Qing (1644-1911) emperor is around 120km away. 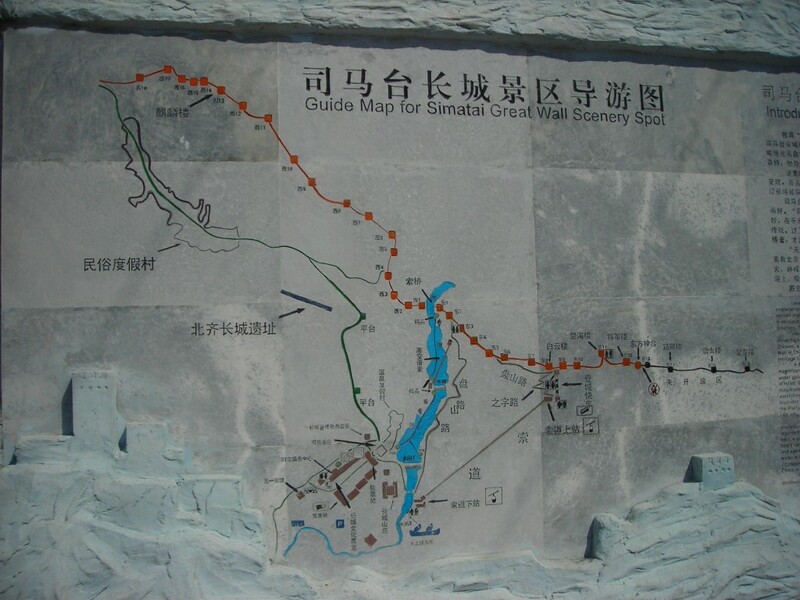 Simatai East Closure: Due to the closure of Simatai East from from June 17, 2010, we will not be able to operate our classic hike from Jinshanling to Simatai. During this period Jinshanling to Simatai West hike is NOT affected by Simatai East closure and will be operating as normal. Hiking from Jinshanling to Simatai West: One of the most popular Great Wall adventures is the hike from Jinshanling towards Simatai, covering 10 km and roughly taking 3 – 5 hours, this hike will bring you perfect Great Wall hiking experience. As Simatai East is currently closed, you will exit at tower 22th, backtrack a short distance and then descend via a newly constructed trail towards a new parking area. Walk along the zigzag walking way leading to Simatai East, you will see the mandarin duck lake (a reservoir), a slide on the lake, and the suspension bridge. Approximately 1.5 hour walk to get to East 12th tower. After 10th tower, you will see the cliff on both sides of the Wall. For the reasons of safety, 2 guards stand at the 13th tower to stop tourists going further. At 8th tower you can take cable car down. Alternatively you can take the express way down by ‘Flying Fox’ or zip line They hook you up to a zipline then you fly over the lake formed by the dam and reach the ground in about 20 seconds! Afterwards, you get onto a little boat that takes you to another landing area across the dam. Then you walk a short distance to the car park. It is fantastic! – an extra cost of 40 CNY but worth every cent.